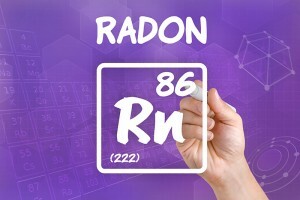 Radon naturally occurs through many places in the U.S.
Materials that can release gases or particles into the air are the primary cause of indoor air quality (IAQ) issues. Inadequate ventilation or poor air flow can increase indoor pollutant levels by not bringing enough outside air inside to dilute emissions. High temperature and humidity levels can also increase concentrations of some pollutants. The importance (and effect on your health) depends on how much of a given pollutant is emitted and how hazardous those emissions are. In some cases, factors such as how old the source is and whether it is properly maintained are significant. 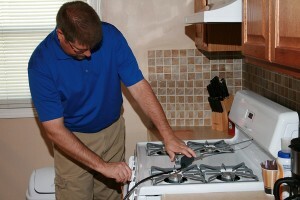 For example, an improperly adjusted gas stove can emit significantly more carbon monoxide (CO) than one that is properly adjusted. Be sure to find a certified HVAC professional who can perform a thorough carbon monoxide analysis to protect your family. Some sources, such as building materials, furnishings and products like air fresheners, can release pollutants more or less continuously. Other sources, related to activities like smoking, cleaning, redecorating, or doing hobbies release pollutants intermittently. Unvented or malfunctioning appliances or improperly used products can release higher and sometimes dangerous levels of pollutants indoors.